CNU was founded in 1954. 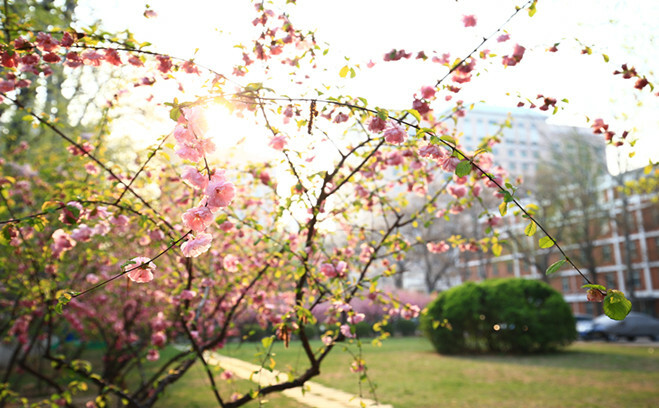 Its predecessor was the Tongzhou Normal University that was established in 1905. 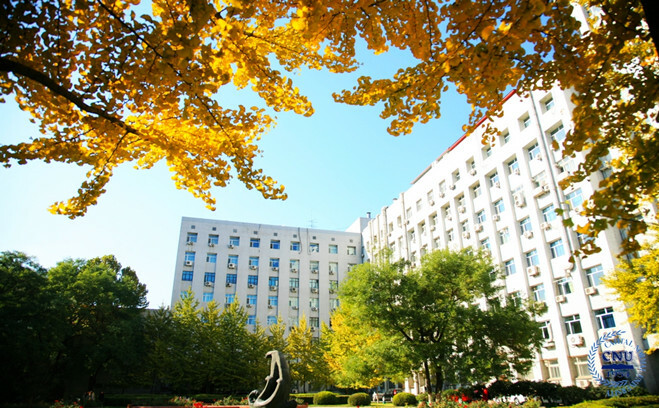 Being a national “Double-First Class” university and “Province-Ministry Co-sponsored” (Beijing and the Education Ministry) university, CNU provides various disciplines including literature, science, engineering, management, law, education, foreign language and art. For over 60 years, CNU has cultivated more than 200 thousand talents specialized in different fields and has been a significant talent-training base of Beijing. Presently, the CNU runs 17 primary disciplines which confer doctoral degrees, 101 doctoral programs, 16 postdoctoral research centers, 26 primary disciplines which confer master degrees and 141 masters programs, 14 professional degrees. The CNU also has 4 National Key Disciplines, 1 National Support for Key Disciplines, 8 Beijing Municipal Primary Key Disciplines, 12 Beijing Municipal Secondary Key Disciplines, 2 Beijing Municipal Primary Discipline (in process), 13 Beijing Municipal Secondary Disciplines (under construction), 4 Beijing Municipal Supported Primary Disciplines and 2 Beijing Municipal Interdisciplinary Disciplines. As for the research level, CNU has 1 cultivation base for National Key Laboratory co-sponsored by Province and Ministry of Education, 2 key laboratories of the Ministry of Education, 1 Humanities and Social Science Key College Research Base supervised by the Ministry of Education, 1 Science Research Center of the Ministry of Education, 1 Key Laboratory of the Ministry of Civil Affairs, 1 National Experimental Teaching Demonstration Center, 1 Teaching Center for Virtual Simulation Experiment (National-level) , 1 National and International Technological Cooperation Base,1 National Language Research Base, 1 Beijing Advanced Innovation Center for Imaging Technology, 1 Beijing Municipal laboratory, 11 Beijing Municipal Key laboratories, 2 Beijing University Science Research Center, 1 research center for engineering technologies of Beijing Municipality, 1 engineering lab of Beijing Municipality, 1 Beijing Social Science and Natural Science Collaborative Innovation and Research Base，4 cultivation bases for Beijing University municipal-level out-school talents, and 7 Beijing Municipal Experimental Teaching Demonstrating Centers, 10 provincial and ministry-level research (college, institution, center) and labs. There are 31 colleges and departments in CNU. They include the Colleges of Literature, History, Political Science and Law, Education, Foreign Language Studies, Marxism Education, Management, Music, Fine Art, Mathematics and Science, Life Science, Resource Environment and Tourism, Information Engineering, Primary Education, Preschool Education, Adult Education, International College, Chinese Cultural Education, the Jingjiang College, the Yandu College Departments of Physics, Chemistry and Educational Technology, Liangxiang Campus for Basic Education, the Research Institute of the Culture of Calligraphy of China, Institute of Cultural Studies, Capital Institute of Basic Education Development and Research, Teaching and Research Department of College English and Teaching and Research Department of Physical Education, and so on. Apart from these, the CNU has 1 major for junior college education, and 54 majors for undergraduate. 195 full-time throughout educated students, among which With 40 full-time junior college students, 11,245 undergraduates, 6,691 masters, 851 Ph.Ds., 10,382 adult education students and 2,155 international students the total number of students at CNU is 31,559. CNU has formed a multi-dimensional and multi-level operational structure and teaching system covering it all right from the junior college education to undergraduates, masters, Ph. D.s, and post-doctorates, from full-time education to adult education and international education. There is a total teaching staff of 2,505 at CNU. Among the 1,642 full-time teachers, there are 356 professors, 663 associate professors, 1,050 Ph.D holders, and 489 master degree holders; those with master degree or above account for 93% of all teachers. A number of influential and famous scholars also lend their expertise to CNU. There are 7 academicians of the Chinese Academy of Science and Chinese Academy of Engineering, 1 academician of the Russian Academy of Engineering, 1 academician of Russian Academy of Natural Science, 4 members of the discipline review group of the Academic Degree Commission of the State Council, 11 members of Discipline Teaching Instruction Committee of the Ministry of Education, 10 professional selected by the “10,000 Talent Plan” as the leading talent for the first “Hundred, Thousand and Ten Thousand Project” , 2 professionals selected by “10,000 Talent Plan” of The Organizing Department of CCCPC for Young Top Talent Cultivation Program, 12 scholars supported by the National Fund for Distinguished Young Scholars, 6 people listed in the Renowned Cultural Specialists of China & “One Batch with Four Points” Talents, 12 people listed in the Renowned Cultural Specialists of Beijing & “One Batch with Four Points” Talents. 12 professionals selected by national “Hundred, Thousand and Ten Thousand Project”, 5 people selected in the Scholar of Beijing Program and 2 people listed in Leading Technological Talents of the Capital Program, 30 people listed in the Support Program for Special Term Professor of Beijing Municipality, 16 people in the Program for Introduction and Funding of High-end Talents into Beijing Municipality, 39 Beijing Technology Stars, 109 people listed in the Young Top-notch Talent Program , 18 selected by the Great Scholar Program, and 3 creativity teams of the Ministry of Education. 64 CNU teachers have been recipients of the Zeng Xianzi Teaching Award and the Henry Fok Young Teacher Teaching and Research Award. In 2003, the CNU was declared as the “Outstanding University of Undergraduate Teaching” in the undergraduate teaching review conducted by the Ministry of Education. Currently, CNU has 7 national distinguished majors, 10 Beijing Municipal distinguished majors, 6 national teaching teams, 8 Beijing Municipal teaching teams, 3 experimental centers for innovation of national talent cultivation mode, 1 experimental center for innovation of Beijing municipal talent cultivation mode, 1 education base for national university student extracurricular practice and 2 bases for Beijing demonstrating university of innovation and practice. CNU also has 12 national elaborate courses, 29 Beijing Municipal elaborate courses, 1 national bilingual teaching demonstration course, 20 Eleventh Five-year Plan textbooks of the Ministry of Education, 5 national elaborate textbooks, 1 classic textbook for Beijing higher education, 57 elaborate textbooks for Beijing higher education, 16 national-planned textbooks of the undergraduate education of the Twelfth Five-year Plan, 1 national elaborate online open course, 6 national elaborate courses for resource sharing, and 8 national elaborate courses for teaching resource sharing. In addition, the CNU has 2 national ‘famous teachers’, 25 Beijing municipal ‘famous teachers’ and in 2008 the CNU was declared as the “National Innovative Experiment Program for University Students”. Through the review of outstanding teaching work, CNU won 2 first prizes and 13 second prizes (including cooperation program) of national outstanding teaching work awards and 117 Beijing municipal outstanding teaching work awards. The CNU students have achieved many prizes in the “Challenge Cup”, Mathematics Modeling and Computer Application contests, Electronics contest, English Public Speaking Contest and other national and municipal competitions. Last but not the least, the top talent cultivation has gained great achievement and glory by winning 2 National Outstanding Doctoral Dissertation Awards, 8 National Outstanding Doctoral Dissertation Nomination Awards and 9 Beijing Municipal Outstanding Doctoral Dissertation Awards. The CNU has 100 research centers and also the Science Park for Beijing Universities. Since the Twelfth Five-year Plan, the CNU has been approved with 11 topics and sub-topics of National Technology Support Program, 1,355 science research projects above the provincial and ministry level, with 449 projects of national natural science fund, 204 projects of national social science fund, 25 key projects of national social science fund, 9 projects of “863 Program” and its sub topic and 17 cooperation projects of “973 Program”. Additionally, the CNU once was the runner-up at the State Scientific and Technological Progress Award, first at the State Technological Progress Award (the second unit), won 12 Beijing Technological Awards and 86 awards above municipal and ministry level. Total investment of 65.44 million Yuan in scientific research in 2016~2017. CNU has published Journal of CNU (social science edition and natural science edition), Chinese Herald, Secondary Chinese Teaching. With 0.76 million square meters of teaching buildings, the entire CNU campus spans 0.88 million square meters. Its total net value including all the assets is estimated to be 14.81 billion. The CNU library which stores 1291.8 thousand of books represents one of the national key libraries for documentary reference. Not only that the CNU boasts of a complete digital campus with a stable comprehensive and effective Internet. And there are also artificial turf playgrounds which comply with national standards, gymnasiums, badminton courts, swimming pools and other sports facilities. CNU, a union school among universities in Beijing and Hong Kong, is one of the universities authorized by the Ministry of Education to enroll international students and those from Hong Kong, Macau and Taiwan. The students, who are from 146 countries and regions, are admitted for undergraduate, graduate and doctoral programs. 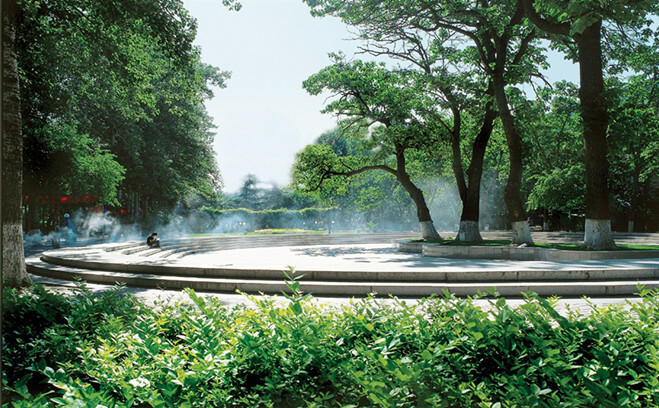 And CNU is the only university of Beijing Municipality approved by the Ministry of Education as a model base for International students, the preparatory education base under the Ministry of Education for International undergraduate students who apply for scholarships of the Chinese government and one of the four universities and colleges selected as the first group of “Beijing Chinese Language Education Bases” in Beijing. Having set up a Western European Research Center, in the meantime, our university has been honored as the national talents preparation center in Beijing for “the Belt and Road Initiative”. CNU has been very active in International cultural exchange. So far it has had inter-institutional exchange and co-operation with 243 universities in 45 countries and regions and it has also set up 6 Confucius Institutes and 1 independent Confucius Classroom such as Confucius Institute at St. Petersburg State University, Russia, Confucius Institute at the University of Minnesota, USA, Confucius Institute at the University of Venice , Italy, Confucius Institute at the State University of New York at Buffalo, Confucius Institute at the University of Piura, Peru, Confucius Institute at the University of Bremen, Germany and Independent Confucius Classroom at Hungarian Chinese Bilingual School, Hungary. CNU has joined in graduating 581 ME students with Flinders University, Australia. The CNU High School and the CNU Yuxin School are experimental bases for school education and teaching reforms and the CNU High School is the first listed key high school and demonstration high school in Beijing.